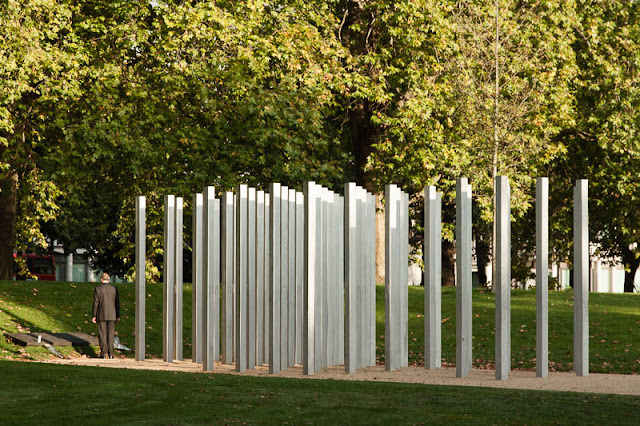 Today many memorial services are be being held to mark the 10th anniversary of the bombings in London. Three tube trains and a bus were attacked resulting in 55 people being killed and more than 700 injured. Among the planned tributes to be held today, wreaths will be laid at the memorial in Hyde Park, a service will take place at St Paul's Cathedral, and a minutes silence will be held on London's transport network at 11:50. Remember the tragedy really well. Beautiful monument. Nice tribute. It's hard to believe it's been 10 years. I hadn't seen this memorial. Thanks for posting. Ten years... has it been that long? Another capture a lot of people would have overlooked. Your eyes always fresh. Thoughtful too, not intrusive. A day to remember just how precious life is. An impressive memorial.